In other words, the very cleaners we rely on to create a spick and span environment are instead making us sicker. This is why many are resolving to reduce the amount of chemicals in the foods they eat and in the cleaning products they use on their homes. The Centers for Disease Control and Prevention, in their Household Cleaning section, recommends using bleach on household surfaces. Right after this advice, the CDC reminds us not to mix bleach with any other cleaner, to wear rubber gloves and eye protection, and to try not to breathe in the fumes. Those are a lot of warnings for a product we are purposefully putting in our homes. You know how important it is to keep your house clean, but which products to use is cause for debate. Before we discuss the pros and cons of different cleaning products, it’s important to realize that although this debate may be frustrating, finding a way to keep your house clean is a must. Skip a few weeks, and you can see the mold and mildew growing on your shower curtains and walls. If soap scum builds up enough, you may see a pink colored bacterium, called Serratia Marcescens breeding. And that’s just what you can see; most germs are not visible to the naked eye. Gastrointestinal viruses and respiratory problems are just a few illnesses that may result from an unclean house. Not cleaning your house can make you sick, but so can some of the chemicals in your cleaning products. Read labels on all cleaning supplies before you buy them. Cleaning supplies are not regulated, so you need to do the work yourself. A product may claim that the amount of a harmful substance in it is too low to harm you, but most of us clean several parts of our house in one day: floors, sinks, ovens, counters, toilets, bathtubs, windows and the list goes on. If each product you use has a small amount of a harmful substance in it and you use five different cleaners in one day, the amount of toxins you breathe, touch and smell can increase to more dangerous levels. The U.S. Environmental Protection Agency has a list of products that meet its requirements for both performance and safety. These are called “Safer Choice Certified,” and include not only all-purpose cleaners, but car care products, dish soaps, floor cleaners, laundry products and tub and tile cleaners. Choose natural cleaning products, but remember the word “natural” is not federally regulated and can be used loosely. The Environmental Working Group rates cleaning products. See their reviews here. So research the products you currently use. If their ingredients or ratings shock you, explore other options. As you can see, there are many views on how to best clean your home. 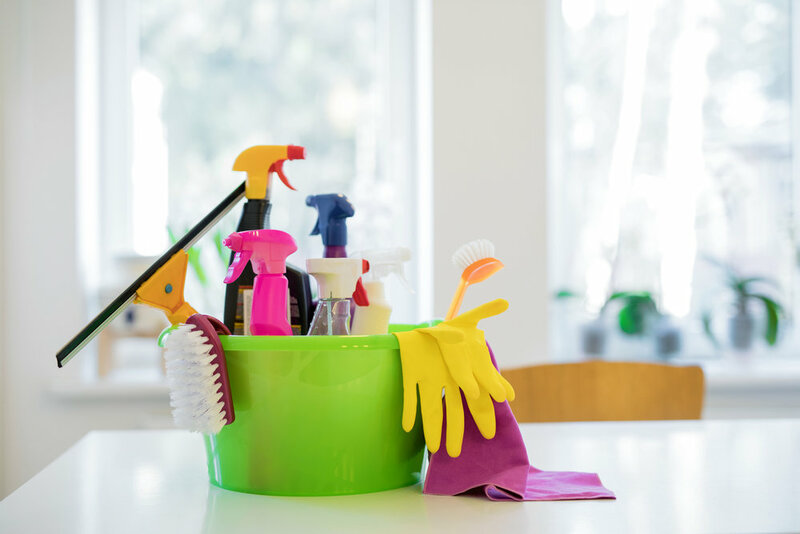 Knowing the options available to you and what’s in your products are the best tools for determining the optimum method of cleaning your house while keeping your family safe.